Everybody Wants Some!! - Blu-ray Review - ReDVDit! Everybody Wants Some!! snuck up on a lot of people earlier this year. Coming from acclaimed writer/director Richard Linklater (Dazed and Confused), who was fresh off his massive success of Boyhood, one would think that his follow-up film would receive more attention. Alas, Everybody Wants Some!! was buried in late March with a limited release, competing against Batman V. Superman and The Jungle Book. After watching it, I think that this was entirely appropriate, and this film will last a long, long time as it reaches more hands and people begin to realize its brilliance. Everybody Wants Some!! 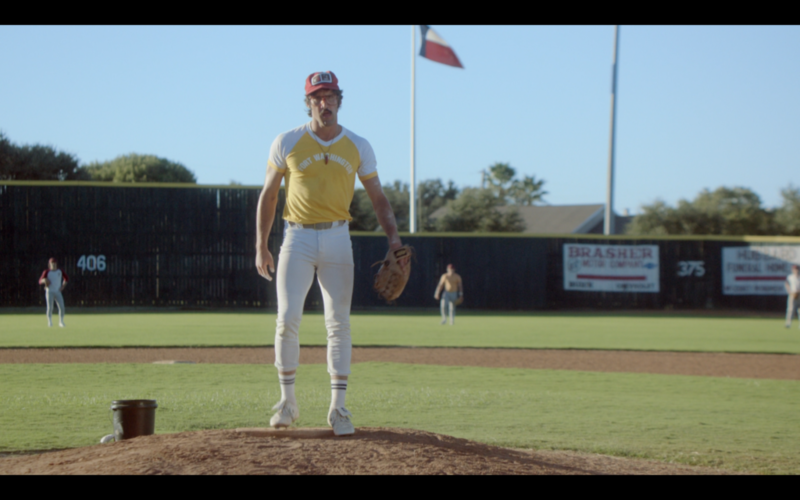 tells the simple story of Jake (Blake Jenner), a college freshman baseball player who moves into the “baseball houses” on the last weekend in August of 1980. In one of the opening scenes, we are treated with the looming countdown of the days, hours, and minutes to the first day of class, a standard throughout the story. The film follows this countdown until the first day of class, when the movie ends. It is so simplistic, yet perfectly tells the story of Jake and his crazy, partyer teammates and their exploits in these short few days before class. I am a baseball guy. I coach high school baseball, I play baseball, I watch baseball; I live, eat, breathe baseball. One of my favorite movies of all-time is The Sandlot, because it related to me as a kid and still resonates today. The best quick description of Everybody Wants Some!! would be that it is the gang from the Sandlot, all grown up. There are quirky characters everywhere, the “weirdness” of baseball players is on full display, and the group has its ups and downs as they play together, drink together, dance together, and live together. If you are a fan of baseball, even though this film doesn’t entirely focus on the baseball storyline, this is a must-see. The dialogue is heavily influenced by “baseball slang”, where terms like “getting hosed” are a common term. On the front cover of this movie, we are treated with a quote that likens Everybody Wants Some!! to “Dazed and Confused for the 80s”, and it really felt like Linklater has struck gold again by creating a new batch of characters, making excellent casting choices from virtually unknown actors, and creating a film that will have life long past its theatrical run. I can see Blake Jenner, Glen Powell (who is my favorite character as Finnegan) or Zoey Deutch becoming big stars, in the same way that Ben Affleck, Matthew McConaughey, or Milla Jovovich launched their careers from roles in Dazed and Confused. Everybody Wants Some!! was shot digitally on an Arri Alexa, and looks pretty typical of any other new release. This is actually a con for me. The environments, wardrobe, music, and cars all scream “80s”, but the film’s presentation does not. It is probably more expensive and may not have made sense for a small release like this, but a little tweaking of the image could have given the viewer a more realistic interpretation of the time period. When I think Dazed and Confused, I remember the heavy grain, which gave it the look and feel of a film that is 40 or 50 years old, when in reality it was filmed in the early 90s. The digital gloss does not do Everybody Wants Some!! justice, and I think it deserved better. That being said, this is still a beautifully transferred Blu-ray image. The colors pop, with each high-waisted pair of jeans and floral patterned shirt jumping off the screen. Brightness is never an issue, and it is one of the brighter films I have watched recently. Even the scenes at night have a certain brightness and color, which is a nice touch and meshes well with the film’s cheerful tone throughout. The audio presentation is where this Blu-ray really shines. Everybody Wants Some!! is loaded with staples from the early 80s, with songs like My Sharona and Rapper’s Delight booming through my new SVS Prime Tower speakers on a DTS-HD Master Audio 5.1 track. Outside of the music, there is very little going on in this movie other than the steady dialogue, but the DTS-HD track mixes all of the audio well, and no volume adjustment was ever needed. My powerhouse subwoofer, the PB-2000 from SVS, was on full tilt during the club scenes; 80s music has never sounded so good. One of the highlights of the audio was actually the baseball practice scene, which is midway through the film. I could hear every crack of the bat, every bit of communication from the outfielders as the ball flew over their heads, and every double-play call as the infielders yelled out to each other. I credit this to the immersive experience that Linklater develops in each of his movies. Every little detail is present, from the biggest scene to the littlest ambient sound effect. When combined with the excellent soundtrack, this makes for an extremely enjoyable at-home audio experience. 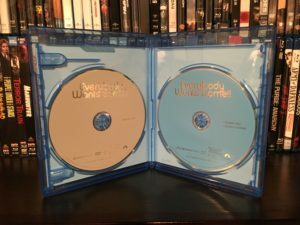 The packaging on this one is pretty typical; we get a slipcover with the first print run, one Blu-ray disc, one DVD, and a Digital Code for iTunes or UV services. The discs have no cover art, but the slipcover does have a fun photo of the entire cast. Everybody Wants Some!! More Stuff That’s Not in the Movie – Your typical deleted scenes fare. Baseball Players Can Dance – I got a good laugh out of this one. History 101: Stylin’ the ’80s – This is also pretty funny, especially if you lived through that era! I really loved this film, and it was one of the nicest surprises of 2016 for me so far. The technical merits are great, it has an excellent soundtrack, and the cast is one of the most likeable ensembles of any movie in my recent memory. 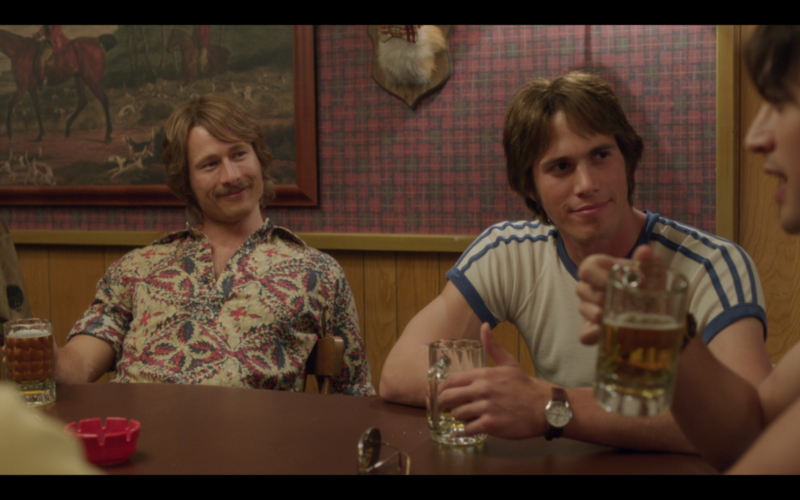 I truly do recommend grabbing Everybody Wants Some!! on Blu-ray, and you can grab it right now from Amazon HERE.